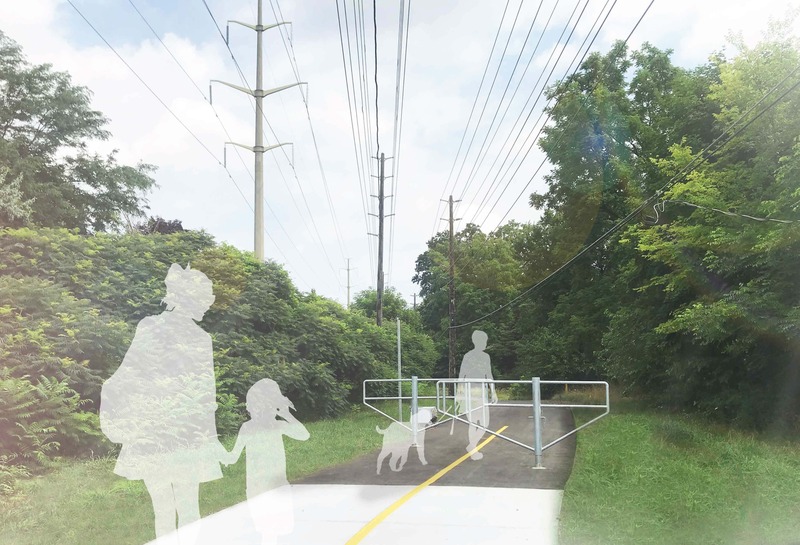 This project will provide a new multi-use trail within the Lakeshore Royal Windsor Hydro One Corridor. The trail is approximately 9 km long and will extend from Winston Churchill Blvd east to Westfield Dr, with some sections on-road. This is a joint project between the City of Mississauga and the Region of Peel in conjunction with Hydro One Network Inc. The multi-use trail is an important part of Mississauga’s plan to provide active recreational opportunities for people and connections to other areas and trails. The City designed the trail to meet the Accessibility Standards for the Design of Public Spaces, making it safe and inclusive for all. Construction notification notices were sent to Ward 2 residents within 120 metres of the Hydro One corridor in March 2018. Please note: Construction notification notices will be sent to the west part of Ward 2, Ward 1 and Ward 7 several days in advance of construction. All phases are estimates and are subject to change. The City will do its best to update this webpage if there are changes to the construction schedule. Please note: Once trail sections are complete, and it is deemed safe for the public to enter, they will be opened. What is the total budget for the trail and how is it funded? The City is sharing the costs 50/50 with the Region on Peel. The City pays for the trail from a tax levy, $21,735; the rest is funded by Regional and Provincial Grants as well as development charges. How were residents informed about the project? The City held multiple public engagements for this project in Ward 1, 7, and 2 (please see the Public Engagement section above). In addition, construction notices were sent to Ward 2 residents whose property is within 120 metres from the trail in March 2018. Ward 1 and Ward 7 residents will receive notices closer to the date of construction. The City has also had a detailed trail alignment plan posted on the Parks & Forestry website for one year prior to construction commencement. How will the City ensure that motorized vehicles will not use the trail? The City will install regulatory signage prohibiting motorized vehicles on the trail. They will also be installing offset gates which will allow for wheelchairs, pedestrians, strollers, bicycles to pass through the gates, preventing access to motorized vehicles. Can I walk on footpaths within the hydro corridor? Although many people use the hydro corridor, technically, Hydro One Inc., considers this trespassing on their lands. Once the City finishes the multi-use trail construction, residents will be able to safely use the trail for walking, biking, running and other passive uses. Why is there fencing along the hydro corridor? The City must install temporary construction fencing to protect the public during the trail construction. The construction fencing will be removed as soon as the trail section between is completed, inspected, deemed safe and ready for its intended purpose—the public use and enjoyment. Can the trail be used when construction vehicles are not working on a section of trail? The City considers this a public safety issue and wants to ensure that all construction is completed before opening a section of trail to the public. If construction sequence and schedule change, the City will reopen unaffected corridor sections if they are safe for walking. Will the City remove vegetation from the corridor? The City will only remove the vegetation where the new trail will be constructed and over the next three years the City will be managing additional restoration plantings along the trail. Why is the trail design winding instead of going in a straight line? The meandering trail design is for two main reasons. First, the mandatory offset from any hydro pole is 15 metres. Therefore, the trail runs in at the centre wherever possible and wraps around the poles to maintain the offset. There are also other utilities such as two major pipelines and the City has tried to avoid them with this design. The other reason for this design is that a meandering trail is more visually appealing than a straight line. Is it safe to walk under live hydro wires? Yes. The trail design is in compliance with the approving agencies’ regulations as well as was reviewed and approved by all required authorities. Have there been coyote sightings in this area? Coyote sightings are common in Mississauga and surrounding areas. To learn more information including how to protect your family and pets, visit Animal Services’ City Wildlife webpage.